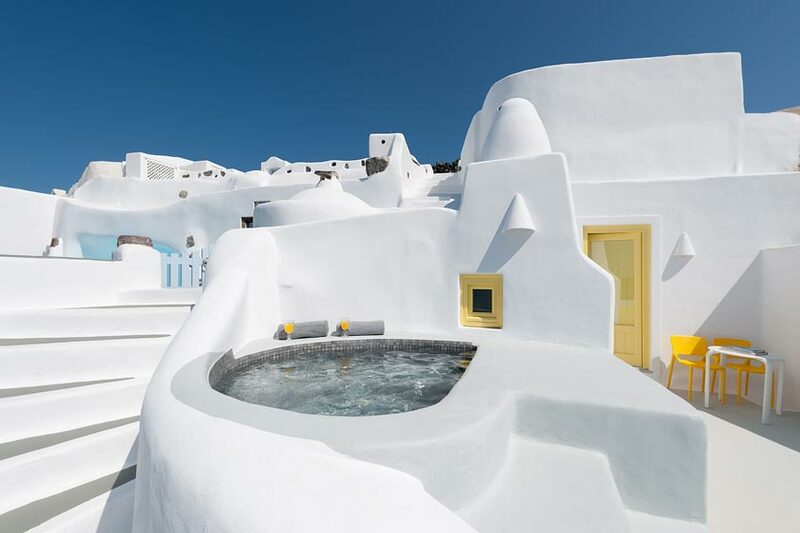 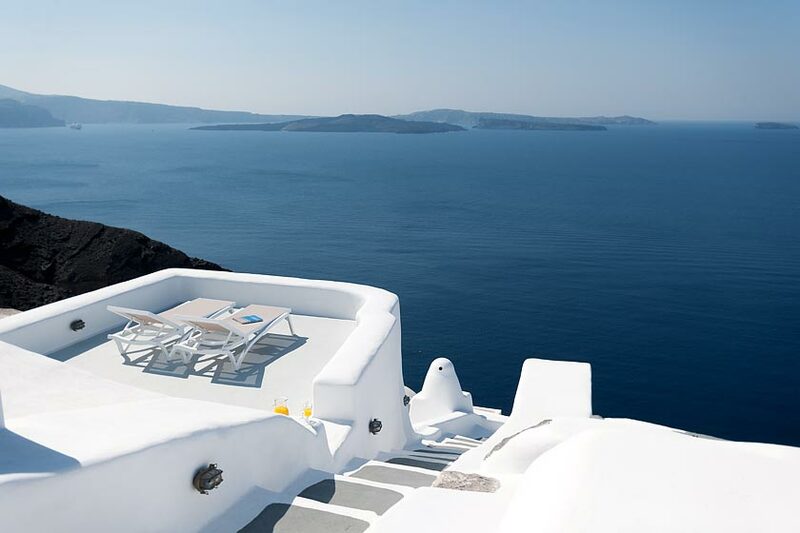 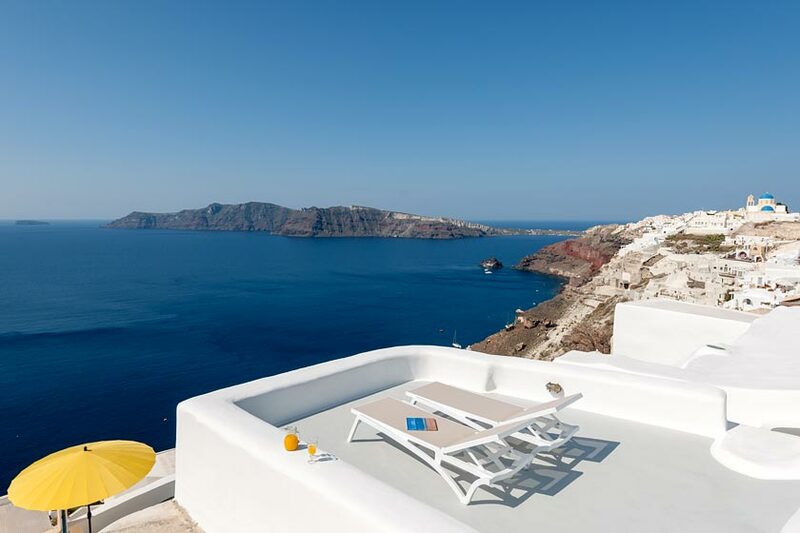 There are many Santorini villa rentals to choose from. 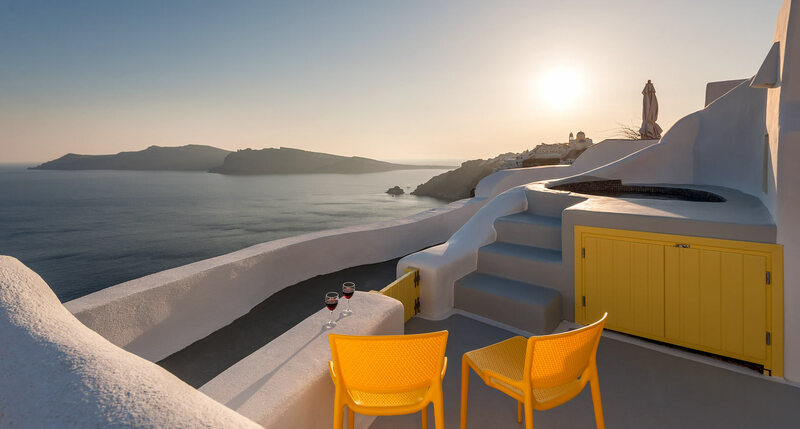 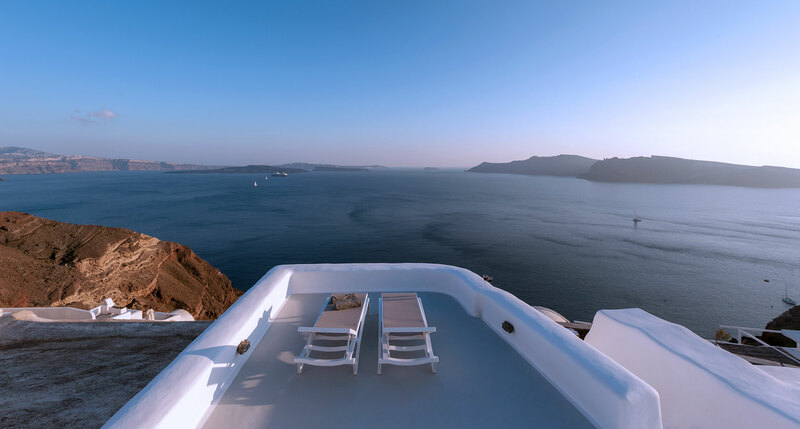 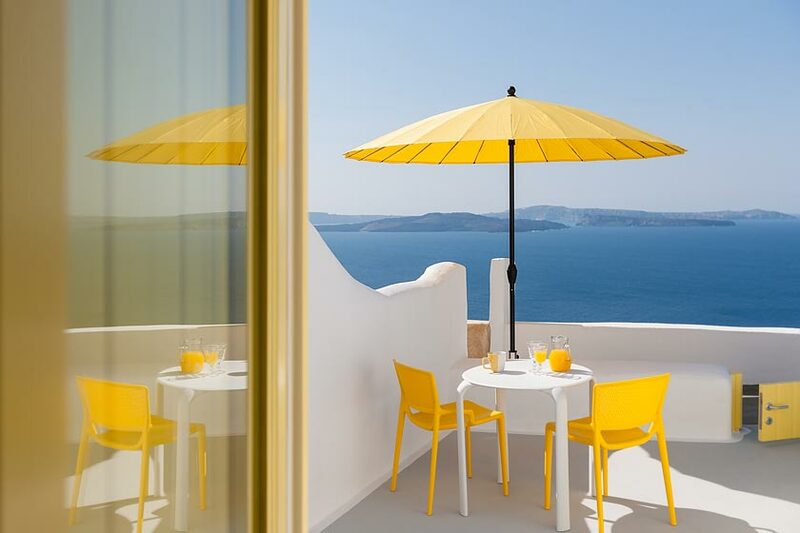 But, if you are looking for a comfortable and exclusive accommodation experience that offers great privacy and breathtaking views, Villa Avra certainly rates among the top Santorini villas to rent. 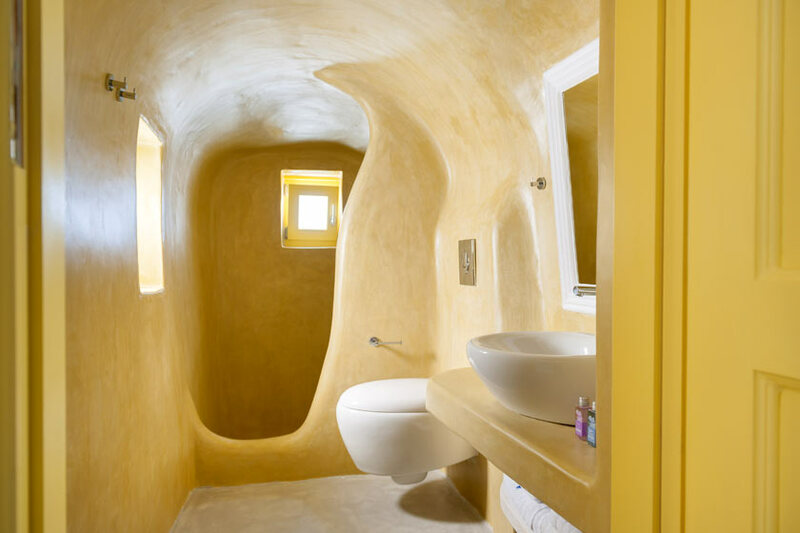 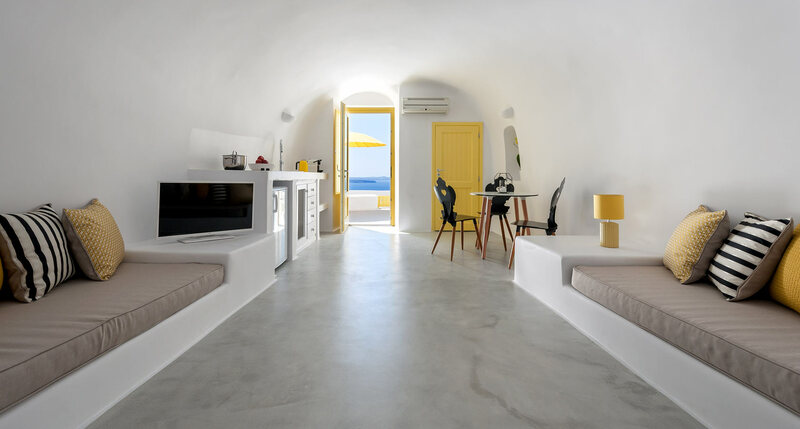 What differentiates Villa Avra from other villas in Oia Santorini, is that it was carefully designed in such a way as to offer guests an entirely autonomous accommodation experience where they can enjoy all modern comforts in a villa that reflects the atmospheric identity of Santorini. 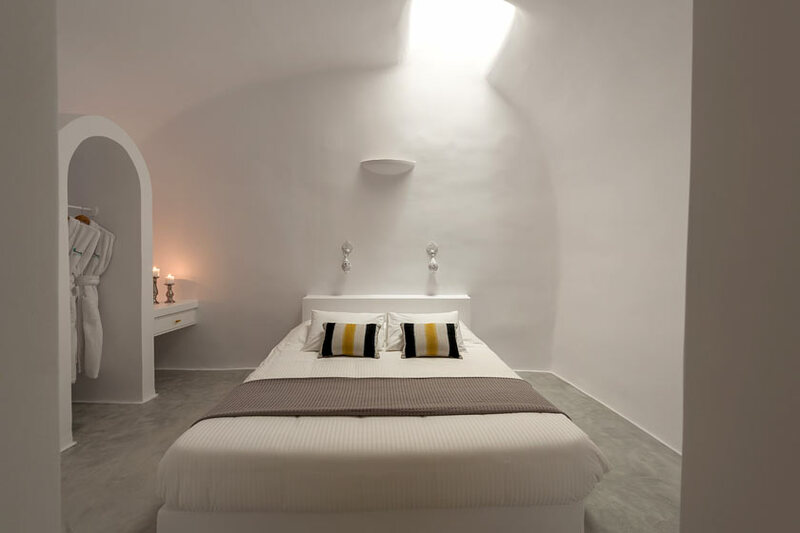 The furnishings of Villa Avra further reflect Santorini's’ temperament, and at the same time fits perfectly with the cave-style premises. 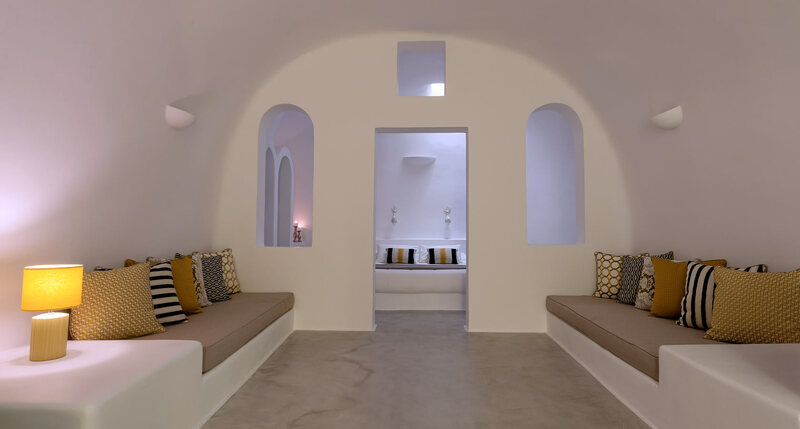 The Villa’s spacious 45sqm premises are for non smokers and can accommodate up to 4 guests. 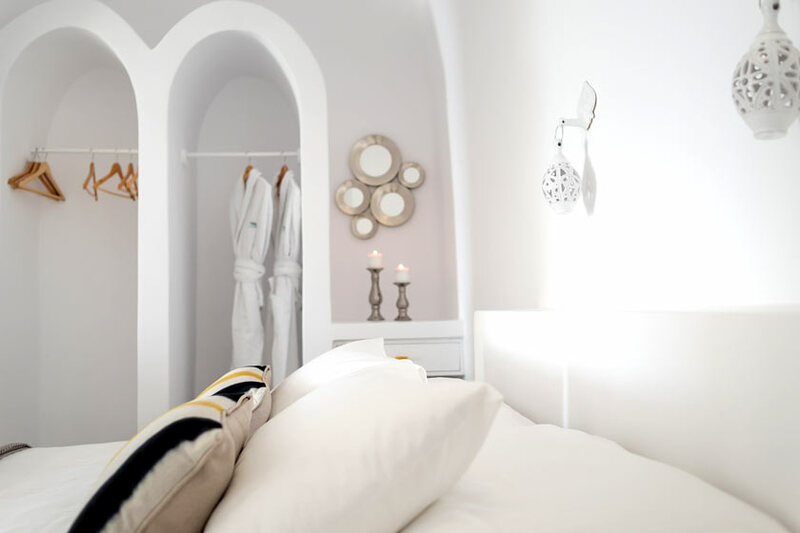 Villa Avra consists of a master bedroom with a king-size bed, and two sofas that turn into beds. 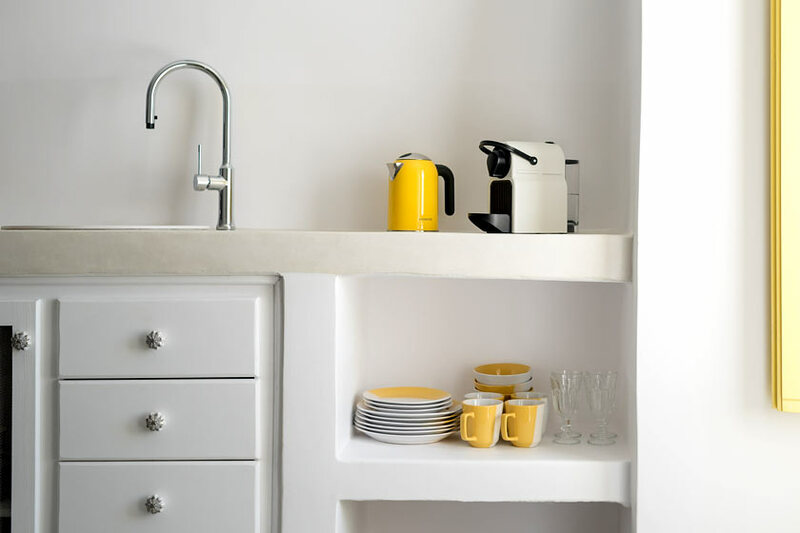 It is ideal equally for families with kids, a group of friends, or couples. 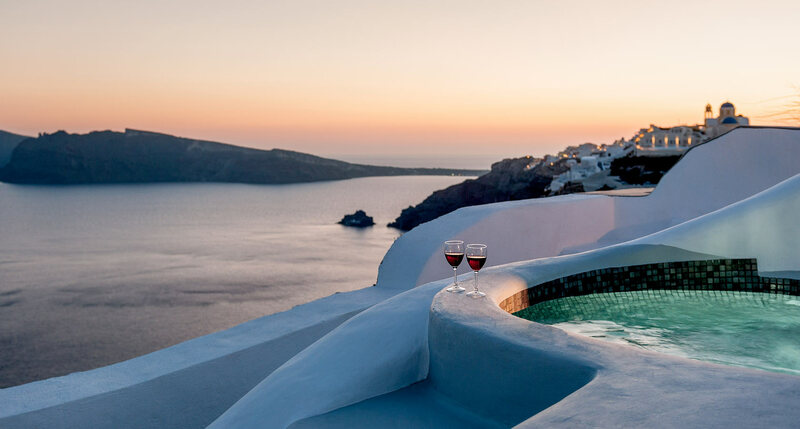 Its external spacious and heated jacuzzi on the terrace will surely offer you some really unforgettable relaxing moments while enjoying really amazing views of the Caldera and the Aegean Sea. 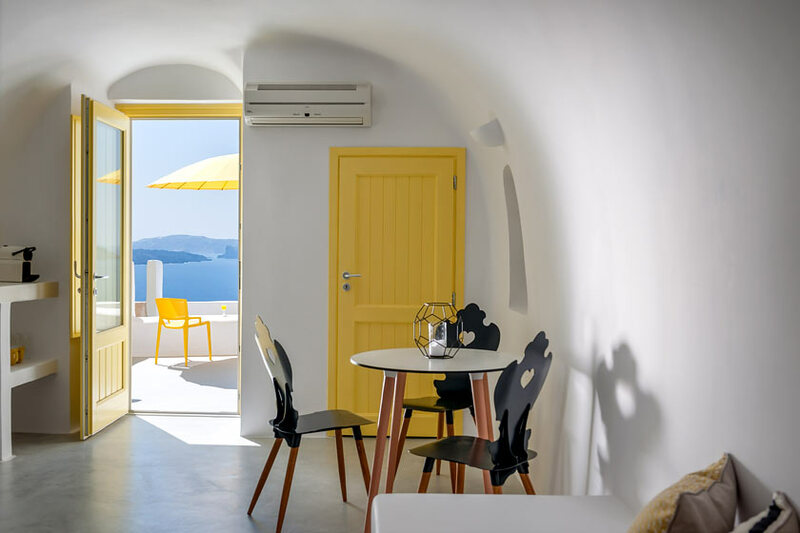 From the very first moment that you will unlock and open the door of Villa Avra you will realize why it is a top accommodation choice among Santorini private villas!